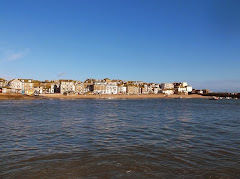 Two great events at St Ives Guildhall this weekend. Families and under 12's - 1.00 to 2.30. If you don't have your own skates you can hire them. Roller Discos then continue - every Friday at The Guildhall - 3 sessions from 5.00 pm to 11.00 pm. 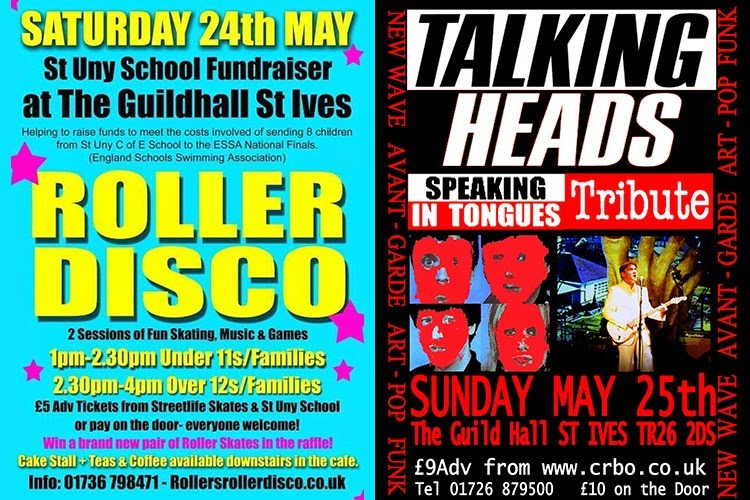 Tomorrow night (Sunday 25th) - live music - Speaking In Tongues - Talking Heads Tribute. The band was formed by two rabid Talking Heads fans and they have enlisted the finest funk players to refresh The Heads classics with their tasty licks. 'This show is a passionate and energetic tribute to the acclaimed New Yorkers. The band are top class!' The Observer.